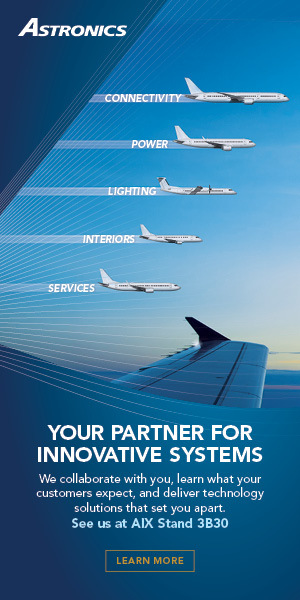 Boasting a leading position in Air Traffic Management (ATM) – its installed base of control center equipment covers more than 40% of global airspace – plus a legacy in satellite manufacturing and a portfolio of aircraft avionics, entertainment and connectivity systems, Thales Group should theoretically be at the forefront of today’s conversations around the connected aircraft. But while partnerships with Inmarsat and later ViaSat have seen Thales secure work as a broadband connectivity integrator and service provider on key airline programs over the years, the French multinational company has gained little of the recognition on that front, as both satellite operators have pivoted to more directly serve airlines in the hotly competitive market. 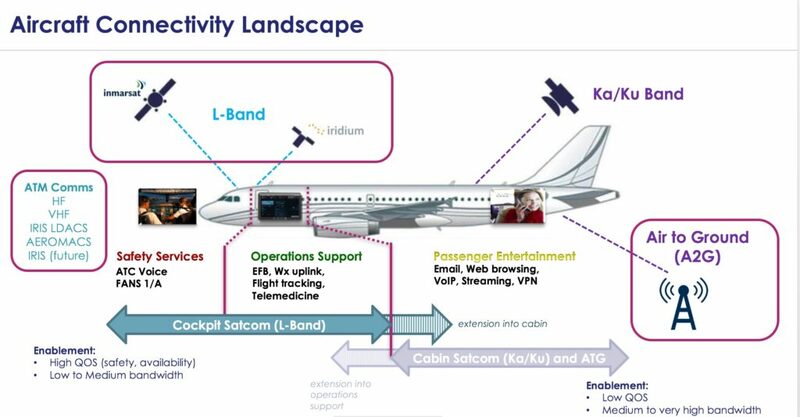 Even today, as Thales rolls out Inmarsat Global Xpress-supported Ka-band connectivity hardware across the lion’s share of Qatar Airways’ Thales IFE-fitted fleet, it is Inmarsat which is enjoying the headlines as “prime” on the GX contract, as it supplies the bandwidth. And while Thales is technically prime on the JetBlue connectivity contract in the US, it is ViaSat which tends to receive the accolades for powering the carrier’s streaming class of Internet service on board. 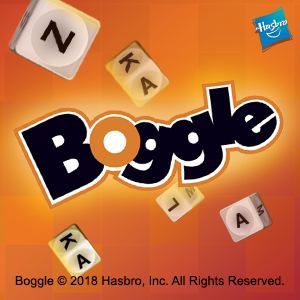 There are worse things in the world than being viewed as a key partner in the background of the inflight connectivity game, especially now that the service side of the game means war. And to be sure, Thales’ fingers are in a number of connectivity pies both in the cockpit and cabin; it provides “complete suites (for cockpit HF, VHF)” and designs and manufactures L-band systems to support Inmarsat and Iridium services. “And you’re probably aware we are the designer and manufacturer of the terminal for the European Aviation Network so we’ve got a stake in in all of this,” noted Thales VP, head of commercial avionics Peter Hitchcock during a recent pre-Paris Air Show briefing at the firm’s Bordeaux facility. Moreover, in addition to reselling GX for the cabin and counting major carriers as customers, including Singapore Airlines and Qatar Airways, Thales is, of course, working to carve out a position of self-reliance over North America, teaming with SES and Hughes to secure Ka-band capacity from in-orbit satellites in the immediate future, and then building a high-capacity Ka-band satellite operated by SES to support Thales’ service to airlines (an unnamed airline customer has already been secured). But the firm also has its eyes on what it sees as a bigger prize. 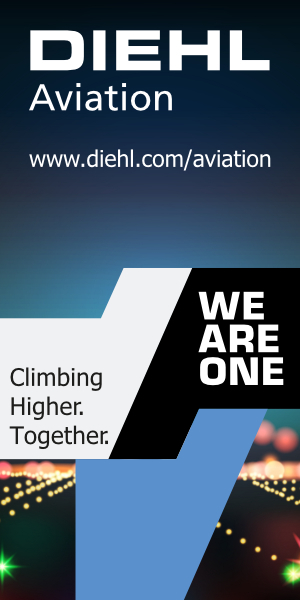 Acknowledging that aviation is migrating towards an ultra-connected and digitalized ecosystem – and facing a rise in autonomy – Thales wants to play a pivotal role in the transformation of airline operations. Using the ample tools in its avionics and ATM sheds, together with connectivity and big data, it is working to create a “natively digital cockpit”, wherein next generation avionics are core, and secured connections are key. And Thales would be sitting pretty. “For the past 40 or 50 years, the avionics inside the cockpit have not been connected. It was a closed loop. 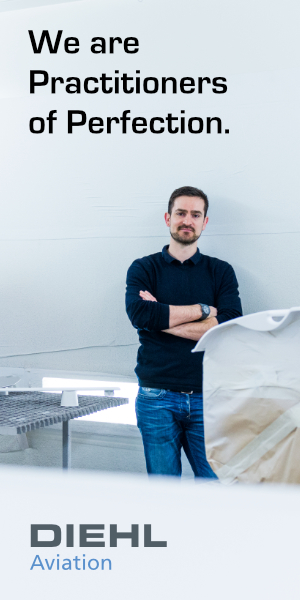 But in the last few years, they have started to be opened up,” explains Vincent Megaides, strategy director for Thales Avionics. 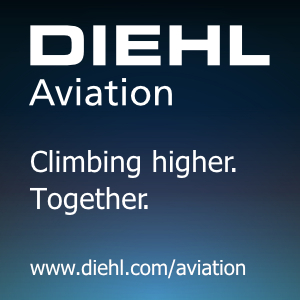 He believes there is “a unique opportunity for a player like Thales because we have all the technical bricks” including solutions to control and fly aircraft, optimize the efficiency of aircraft, and receive end-to-end connectivity. A significant amount of regulatory work needs to take place before Thales’ full vision of a digitally native cockpit comes to fruition. But Thales is “building in the hooks” to its electronic flight bag (EFB) software and Avionics 2020 cockpit demonstrator “that can evolve to a much more transformational future even if the regulations aren’t mature”, says Hitchcock. Journalists were given a glimpse of how Thales’ work is progressing in Bordeaux, with management explaining that Avionics 2020 – first unveiled in 2013 – is being designed to display open world information alongside information coming from the secured avionics, in an integrated manner. 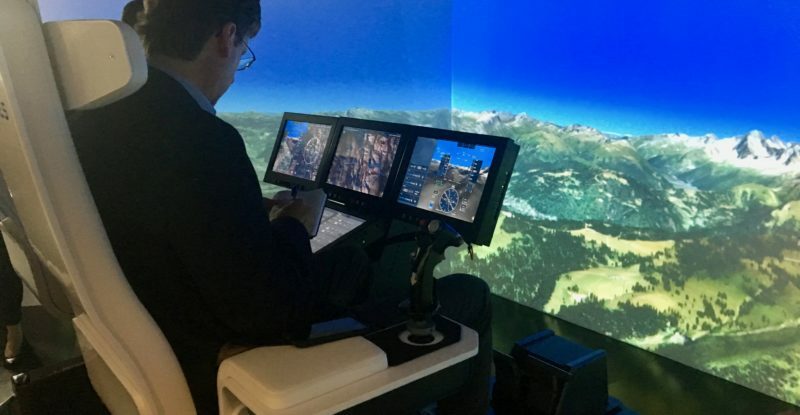 Avionics 2020 will connect with both safety and non-safety critical aspects “like airline operations centers’ data and services providers on the ground, and the EFB system” or other systems, explained the firm. 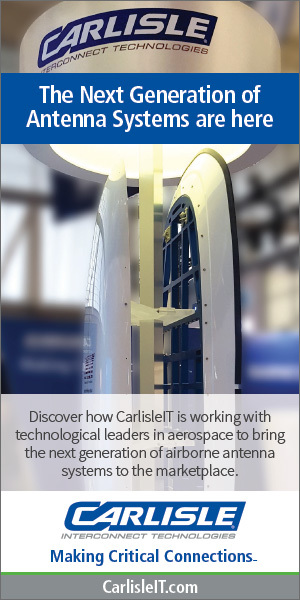 New functionality will be highlighted in a few weeks at the Paris Air Show. But while Thales’ futuristic cockpit work is impressive, Hitchcock admits that EFB “is the answer to issues today, the need for information fast and cheap”. 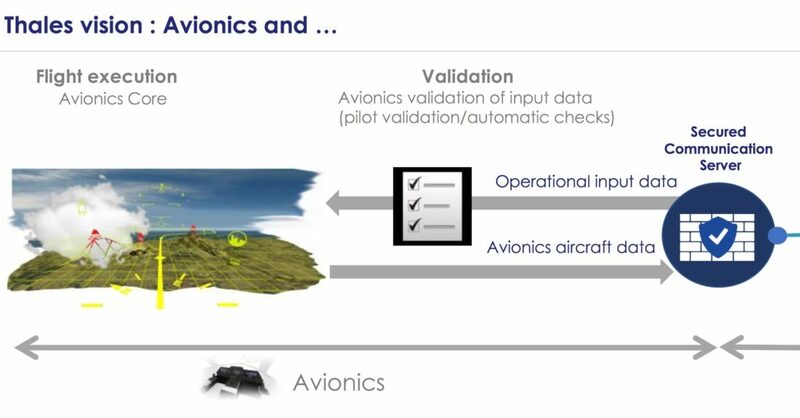 That’s why Thales last year acquired Belgian firm Aviovision, and with it the Aviobook portable EFB software suite, which is already in use by pilots at KLM, Finnair, Flybe, Comlux, Aegean, Thomson, Hong Kong Airlines, Martinair and others. Branded Thales InFlyt Optim, the EFB software can crunch weather and wind data supplied by third parties to the airline, and be pushed to the pilot’s portable EFB devices. “We have two choices – model with connectivity or not, based on the regulatory environment.” But it goes without saying that real-time data – versus pre-flight uploads – will make InFlyt Optim sing. L-band connectivity will be sufficient for transmitting the first iteration of this EFB application, confirms the Thales executive. 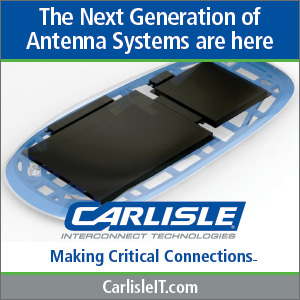 “The intro of this in EFBs – you’ll be able to use L-band.” Incidentally, parallel work is occurring at other satcom solutions providers. Cobham, for instance, last year announced that its AVIATOR 300D terminal enabled in-air connected EFBs for the first time over Inmarsat’s SwiftBroadband Safety (SB-S) service. This technology breakthrough “takes the EFB to a new level by allowing pilots to obtain real-time information while in flight, rather than waiting for downloads while on the ground. Applications include graphical weather, telemedicine, passenger data, aircraft documentation, and more,” said Inmarsat at the time. “Today [without connectivity] the pilot has a good situational vision of 45 minutes in front of the aircraft,” says Hitchcock. “The next step is for the [InFlyt Optim] solution to propose a flight path to the Thales Flight Management Computer on the aircraft.” While there are no technical barriers to facilitate this type of connection, he says, regulatory hurdles abound. Thales views Iridium and Inmarsat’s services as baseline for supporting safety services, and notes that L-band is increasingly becoming a primary communications channel on the flight deck. 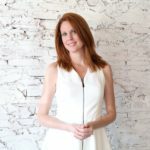 “What we see is more and more use of L-band as primary comms spectrum, [which is] one reason why both Iridium and Inmarsat will be used, but not only them, you need to look at the replacement of VHF datalinks moving to L-band,” says Hitchcock. The Iris Precursor work is one example of this migration. The current connectivity landscape features stove pipes and inefficiencies, says Thales. The question for Thales, is “how long can it continue like that without requiring a reset? We are asking ourselves for how long we continue in this mode before the inefficiencies, and the cost of upgrading so many systems becomes a burden to the community too much.” Forecasting how the connectivity landscape will evolve is difficult, adds Hitchcock, “but we’re pretty confident it needs to change”. Hoping to drive efficiencies in the space, Thales is embracing software defined radio technology, and looking at getting multiple waveforms in the same box to allow operators to roam into different networks. “We have brought that technology into the aviation world,” says Hitchcock. The first application will be firmly focused on safety services. “Once you’ve done [safety], the other things are easy. It’s not so easy to go the other way,” he says, noting that Thales is relying on its experience “having done software radios for military”. More details about Thales’ latest radio work will be divulged at the Paris Air Show. 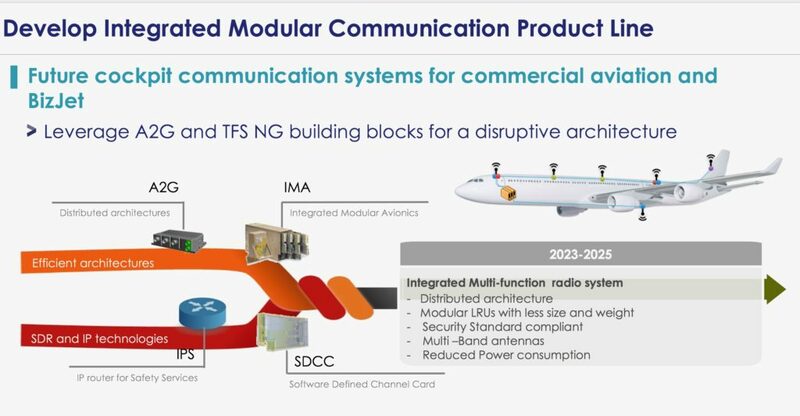 By the middle of the next decade, with a disruption expected when the Airbus/Boeing duopoly is broken by the march of Chinese and Russian OEMs, Thales expects to see integrated multi-function radio systems on board, supported by multi-band antennas. The firm envisages a full IP-based architecture with a unified set of interfaces, and safety services supported by a new Internet Protocol Suite (IPS) router. By that time, it expects that domain segregation will have matured. And EFBs may also become redundant. “In the future, do you need EFB or have you natively designed the cockpit?” asks Hitchcock. In the future there needs to be more bearers to support this activity – cockpit data link, cockpit safety voice and data – to take advantage of safety analytics. In order to permit flight operation efficiencies, you can do a certain amount with EFBs, but in 2025, 2030, you have to wonder how that bit [cockpit safety] is going to change. And that’s the bit we’re thinking about. He concedes that once you “build in automation and machine management change” capabilities “is where it eats bandwidth”. The volume of data would be so vast that it would require a cloud-based system even for cockpits because no single aircraft will be able to store it. While the journey will take years, Thales seems to have an increasingly clear idea of what to pack for the voyage. Airbus and Boeing would disagree that there are “stove-pipes”. 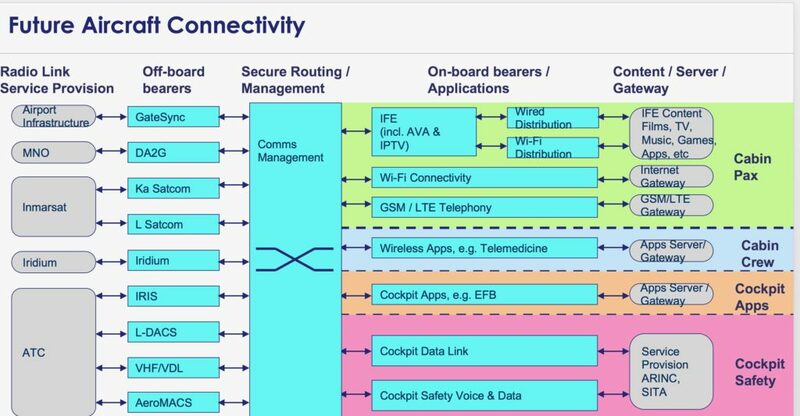 Both 787 and A350 support integrated comms that are technology agnostic and provide the most optimum solutions, based on critical payload prioritization, system availability and security. Thales plays a very small role for cockpit avionics at Boeing. The vast majority of the FMS (cornerstone of trajectory mgmt) are provided by Honeywell and GE. There are many companies who have combined broadband Ka/Ku links with L-Band (Iridium or Inmarsat). VHF/HF are being phased out for ops links. 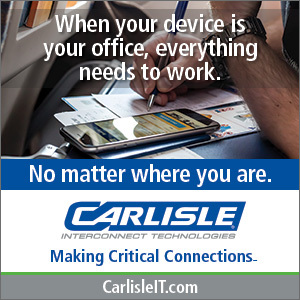 Airlines are using “best routing” techniques for IFE content at gates, EFB updates (including weather), diagnostics and monitoring (ACMS and QAR downloads) as well as many other applications and services for improving operations.